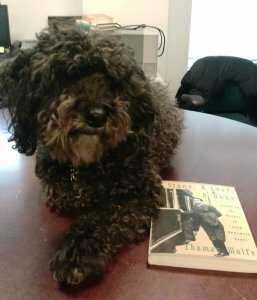 As the M&O office mascot, I thought I’d make my blog debut by putting together some of my favorite books from around the office. 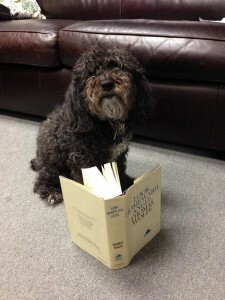 While all of these have special appeal for canines, they’re great reads for humans, too. There’s a little bit of everything here- hope you enjoy! Steinbeck wrote this memoir later in his life after he embarked on a road trip across almost 40 states with his French poodle, Charley. Any story about a man and his dog taking on the world is something I can get into. Famous for its intimate portrayal of the United States on the eve of the 1960s, this one definitely tops my list. 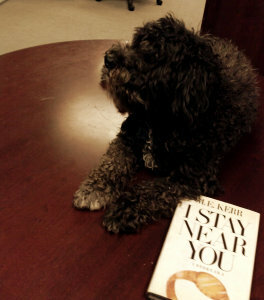 Staying is a concept I’m quite familiar with as a dog. This YA by M.E. Kerr has more than a title I can get into, however. Passed from generation to generation, a mysterious gold ring with the inscription “I Stay Near You” has unpredictable effects on the lives of three couples. A little mystery, relatable characters, and star-crossed lovers from the opposite sides of the tracks. You better believe this is one of my picks. I picked up this book of poetry by one of the American greats because the title made me think of things I would see on a nice walk. Even better than that idea, however, were the poems inside. Wolfe, author of classics such as Look Homeward, Angel and You Can’t Go Home Again was often described as a poet who chose to write prose. Actually reading his poetry on love and human nature (something I’m always trying to understand as a dog) that seems alive with the spirit of the American landscape is a chance you can’t miss. 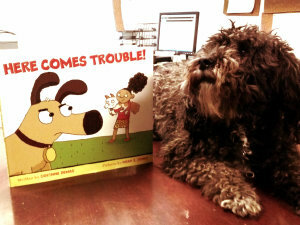 While I am quite possibly one of the best behaved pups out there, it doesn’t mean I don’t like to read about dogs with a knack for getting in trouble. One of my faves is Toby from this picture book series by Corinne Demas. In this book, Toby finds himself going head to head with the stuck up neighbor cat, Pandora. Definitely check this out if you’re looking for a fun picture book read! Another one where the title tugged my leash. As a dog, there is little that gets me intrigued (re: barking) more than a voice at the back door. Even more interesting than that, is Elizabeth Spencer’s beautifully written, insightful look at race relations in small town-Mississippi. First published in 1956, this is a classic of Southern literature and a must read for those interested in race history in America. A serious read on what it means to challenge the way things have always been. I thought I’d round out this list with one of my favorite series from Teri Wilson. 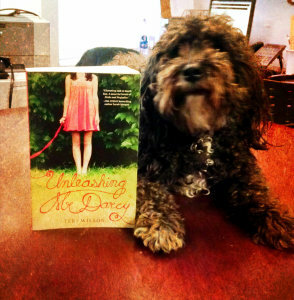 Book one is Unleashing Mr. Darcy, a retelling of Pride and Prejudice set in the dog show world. 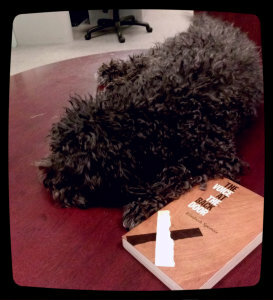 A classic retelling populated by competing canines? I’m here for it. A fun, light read that those looking to add a little love to their reading list will absolutely devour. Plus puppies! Seriously, how can you resist? Thanks for reading, folks! 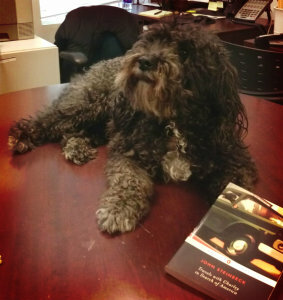 I hope to take time from my busy schedule of being adorable to drop by the office again soon. Until then.